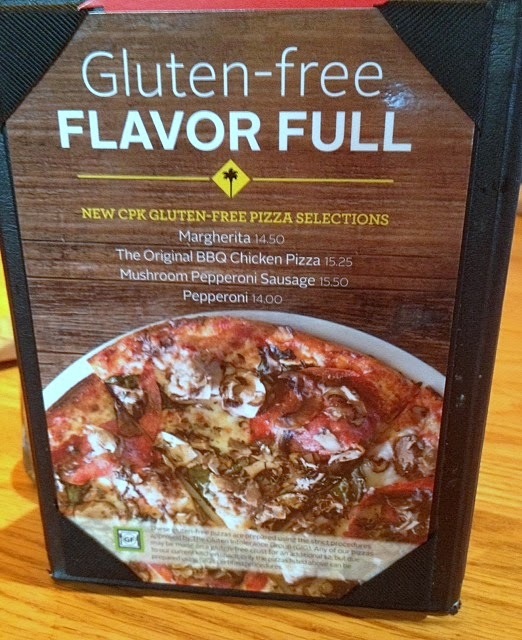 CPK advises customers to inform a manager of any allergies or special dietary needs before ordering. CPK says that any of its pizzas may be made on a gluten-free crust for an additional $2, but due to current kitchen space only the pizzas listed above can be prepared using GIG’s certified procedures. According to a local manager I spoke with, the certified pizzas are made in a separate area of the kitchen with ingredients used just for the gluten-free pies, are oven-baked on their own tin trays, and are cut with dedicated slicers. Prices for these 10" pizzas range between $12 (for the Untraditional Cheese) and $15.50 (for the Mushroom Pepperoni Sausage). CPK has southeastern Pennsylvania locations at the King of Prussia Mall (470 Mall Blvd., 610-337-1500), Plymouth Meeting Mall (500 W. Germantown Pike, 610-828-8232) and in Philadelphia (4040 City Ave., 215-473-7010), at the Cherry Hill Mall in New Jersey (2000 Rt. 38, 856-910-8121), and in Newark, Delaware (325 Christiana Mall, 302-533-2541). If you get to try any of the new pizzas this weekend, share your thoughts on the Gluten Free Philly Facebook page or via Twitter. In Doylestown, Hickory Kitchen (9 W. Court St., 215-348-5170) has gluten-free wraps and rolls for sandwiches. 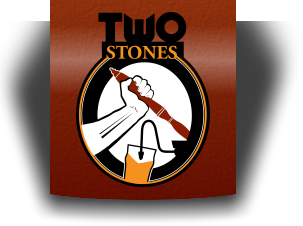 Later this month, Delaware's gluten-free-friendly Two Stones Pub is set to open a location across the border in Kennett Square (843 E. Baltimore Pike). As the Phillies wrapped up their season earlier this week, the Flyers began a new campaign. At the hockey team's home, the Wells Fargo Center (3601 S. Broad St., 215-336-3600), gluten-free concessions will again be available at the Section 122 stand. Burgers, hot dogs, chicken sandwiches, beer and nachos (no cheese) will be sold there. I'm told that fries prepped in a dedicated fryer may also be on hand this season. Glutino shared the news on its company blog that peppermint yogurt-covered pretzels and a sugar cookie mix will be sold at Whole Foods in time for Christmas. (To paraphrase comedian Gary Gulman, aren't all cookies sugar cookies?) Thanks to Amy at Gluten-Free Living magazine for the tip via Twitter. Glutino debuted a new savory snack at last week's Expo East foods show, and I'll have information on that and more products I discovered at the show in an upcoming post. You can read Part One of my show recap at Tuesday's post. The Mansion on Main Street in Voorhees (3000 Main St., 856-751-1717) will be hosting a gluten-free cooking class on Tuesday, October 15 beginning at 6 p.m. Gluten-free favorites will be paired with specialty drinks. The event cost is $29.95 per person (exclusive of tax and gratuity). Reservations are being accepted by phone. The Christiana Care Department of Family & Community Medicine and ShopRite are offering a combination of lectures, table displays and tours at ShopRite locations throughout northern Delaware. The free monthly sessions are designed to educate people about making healthy food choices in an ideal classroom setting: the supermarket. The October topic is “Gluten Free Shopping Made Easy.” The lecture will be offered between 5:30 p.m. to 7:30 pm at the following ShopRite stores: Oct. 8 at Chestnut Plaza-Newark, Oct. 10 at Christiana Crossing-Wilmington, Oct. 15 at Governors Square-Bear, Oct. 17 at Four Seasons-Newark and Oct. 21 at First State Plaza-Wilmington. Online registration is available. 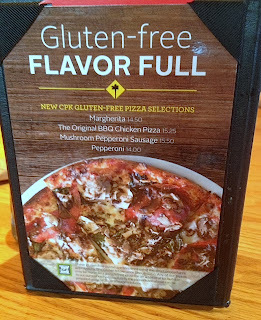 I just tried the new California Pizza Kitchen gluten free pizza at the City Ave (Philadelphia) location. I thought it was very good. Its a very thin shell, and it held together very well, with no flaky splitting like I've seen with some shells. Outer edge was crispy and cooked like a traditional shell. Could almost say that a non GF person wouldn't be able to tell it was a gluten free shell,..
Btw.. the Philadelphia City Ave location has an alcohol license and small bar (something I don't think will be in New Jersey), and the same building houses a Pei Wei with its awesome Gluten Free sweet and sour dishes. It doesnt stink to work across the street from these places.